WCRE is proud to have exclusively represented The MandMarblestoneGroup, LLC. 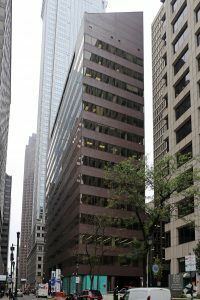 in the leasing of 5,636 square feet of office space for their new Corporate Headquarters at 1760 Market Street, Philadelphia, Pennsylvania. 1760 Market Street is owned and operated by Vectra Management Group, and is a well located Class A office building situated in the Market Street West submarket. This premier office location is positioned in the Philadelphia CBD and provides for convenient access to I-76 and I-676. Andrew Maristch III, Vice President Corporate Services and Portfolios, Brian Propp, Director of Strategic Relationships and Joe Nassib, Associate of WCRE exclusively represented the tenant in this transaction.